The MLA’s system of documentation relies on in-text references that aim to keep the reader’s focus on the main text. In some cases, however, a bibliographic citation works better in a note than in a parenthetical citation. Notes may also be a useful or even necessary means of providing supplementary commentary or information that would be distracting if it appeared in the main text. Whether and when to use a note requires judgment and is a skill learned with experience. Context is also important: what is appropriate for a dissertation writer, for example—to show exhaustive knowledge of a topic and stake out clear differences from previous scholarship—will not be appropriate for an undergraduate research paper. In the sections below, we offer guidance to help you determine when and how to use notes in MLA style. You can also find additional information about notes throughout the site. 1See Holloway 5–8; Burstyn; Glynnis; Camp, DeVere, et al. ; Sulkin, History of Magic; Darby, Dragon Magic 87–92. 5For a sampling of materials that reflect the range of experiences related to recent technological changes, see Taylor A1; Moulthrop, pars. 39-53; Armstrong et al. 80-82; Craner 308-11; and Fukuyama 42. 4No one has yet written about the striking reference in the McGriffin manuscript to griffin teeth being found by Kode in the early sixth century. 6Citations of Othello refer to Bevington’s Complete Works unless otherwise noted. 8Translations are mine unless otherwise noted. It is generally clearest to place the note in the text where the work is first quoted. An alternative is to create an initial, unnumbered note. In this essay, the English translation of Usos amorosos is by Margaret E. W. Jones. All other translations are mine. 1 Time allowing, Labanyi’s “Resemanticizing Feminine Surrender” could be assigned. 2Citations of the Latin marginalia refer to Macaulay’s edition of the poem and are cited by page number. References to the Middle English poem cite Peck’s edition by line number. 4The 1995 Fata Morgana reedition of Tombeau d’Ibn Arabi has no pagination; hence, stanza numbers take the place of page numbers in citations of the French text. To document an epigraph. Epigraphs are ornamental and thus do not typically require documentation beyond the author’s name and title. Should you elect to give readers more information about an epigraph, do so in a note. This is one of the few times when you can provide full publication information in a note, following our style for captions. The note can either be numbered and follow the epigraph attribution line or appear as an initial, unnumbered note. An epigraph at the beginning of a book should not be accompanied by a note. Recent work by dragonologists attests to the lively manuscript production at the McDragon monastery (Burstyn; Glynnis; Holloway). Recent work by dragonologists attests to the lively manuscript production at the McDragon monastery (Burstyn, McDragon Dragons; Glynnis; Holloway). Recent work by dragonologists attests to the lively manuscript production at the McDragon monastery (Burstyn; Glynnis; Holloway 5-17). Recent work by dragonologists attests to the lively manuscript production at the McDragon monastery (especially Burstyn; Glynnis; Holloway 5-17). Recent work by dragonologists attests to the lively manuscript production at the McDragon monastery (Burstyn; Glynnis; Holloway; McKittrick and Clark; Blooster, Grady, et al. ; Higginsbottom; Zelkirk and Doogan). 1Burstyn; Glynnis; Holloway; McKittrick and Clark; Blooster, Grady, et al. ; Higginsbottom; Zelkirk and Doogan. Now that you understand when to use bibliographic notes, let’s move on to content notes. Content notes offer the reader commentary or information that the main text can’t accommodate. In general, they should be used only when you need to justify or clarify what you have written or when further amplification of your point will be especially helpful to your readers. Many content notes include bibliographic references, but they are distinguished from strictly bibliographic notes by being conversational in nature. Below are some examples of when content notes are used by academic writers. To amplify. Notes can be used to provide important information or scholarship related but tangential to your point. If this amplification is lengthy or distracts from your main line of argumentation, use a note. 3See Green, especially 1-7, and Hinnant for further description and discussion of the courtship novel. Green considers Mansfield Park a courtship novel, including it in a list of such novels in the period 1740-1820 (163–64). 10This argument contradicts a number of different copyright doctrines, including the strict distinction between idea and expression. To explain word choice. When your use of a word, phrase, or translation needs to be explained or justified but is not central to your argument, consider using a note. Explaining your use of a word or phrase is especially necessary, whether in the text or a note, when you coin a term or use it in a provisional sense. 8I have opted to translate the verb (rendered by Taylor as “to understand”) as “to think,” in order to avoid any possible confusion between this kind of thinking and intellection. 1Abnormally interesting is Roach’s term (It 4), though the idea of celebrities as people whose fame does not depend exclusively on their accomplishments originates with Boorstin. To justify the scope of your study. If you need to comment on the scope of your study or point readers elsewhere for topics not addressed in it, consider using a note. 1The casino debate is gnarly and well beyond the scope of this essay, but I point readers to Kauanui’s discussion of racist anticasino discourse in New England and to Jessica Cattelino’s important study of gaming and sovereignty. 9I leave aside the question of whether the Pearl poet (or poets) might also have written Saint Erkenwald; see, most recently, Borroff’s “Narrative Artistry,” which cites a number of earlier studies on the possible common authorship of Saint Erkenwald and the poems of the Pearl manuscript. 3The same could be said, for example, of Irish writers. See David Lloyd in Nationalism and Minor Literature (160). 10For example, in the illustrations accompanying the review of An Ideal Husband in the 12 January 1895 issue of the illustrator Harry Furniss’s magazine Lika Joko, a plump Wilde, dressed in a kimono, holds a crying baby in one hand while bathing a second, older child in a wash pan. 4Recall, for instance, Othello’s jealousy and how it seizes on the handkerchief to establish the meaning of emotion. 7Although Holloway identifies an exception to this phenomenon—what she asserts is a singular griffin image accompanying the Story of Dragonsong in McDragon MS Kode Vitalis IX—she agrees that all other instances of animals in the manuscripts appear to be dragons. Recent work by dragonologists like Bloobler-Wickett suggests that what Holloway identifies as a griffin is, in fact, a poorly rendered baby dragon, likely painted by an apprentice dragonologist. 14Luhmann 102-32 presents an alternative formulation of this distinction. 15On whether laughter is “permissible,” one is reminded of Freud’s contention in The Joke and Its Relations to the Unconscious that laughter is an expression of inhibition related to feelings that are, in fact, forbidden. To acknowledge. Acknowledgment notes should be used sparingly, and they are most appropriate for professional writers. Scholars often use notes to acknowledge when a colleague led them to a particularly fruitful source or were directly and uniquely responsible for helping them develop an important idea through informal means like conversation and peer review. Now that you know when to use notes, learn all the ins and outs of styling them. Notes may be styled either as footnotes or endnotes, according to the preference of your teacher, institution, or publisher. In its publications, the MLA uses endnotes. The MLA’s system of documentation discourages lengthy discussion in the notes, and writers are advised to avoid long notes. Block quotations are generally to be avoided in notes. Although most dragons were friendly and outgoing5—they were, after all, highly social creatures—the dragons of West Marshland were notoriously cantankerous. 2On this term, see Ede’s edition, line 876. 3The term “sun-ablutions,” originally appearing in Ede’s edition (line 5), is omnipresent in the secondary literature on dragon ablutions, which is enormous; see esp. Rick, Dragon Hygiene; Colyer and MacDoogal-Toddy; Evanista 7-19; and Griffin. Instead of treating Oxford Street as a mere replica of the original metropolitan Oxford Street,1 Quayson keeps the sanctity of Accra’s specificity from being distorted through comparison. 1To prevent such underestimation and simplification, Fredric Jameson proposed the allegory of nation as a means to restore “Third World” literary texts to an autonomous sphere in the Western academy’s project of expanding the field of comparative literature. Quayson’s choice of comparisons is clearly linked to the same impulse. If the text you quote includes a footnote, do not reproduce the note number in your quote unless there is a unique and compelling reason to do so. You should generally build references to notes into the main body of your work whenever possible. 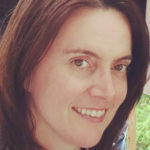 Angela Gibson is the director of scholarly communication at the MLA. She has a decade and a half of editorial experience and holds a PhD in Middle English from the University of Rochester. Before coming to the MLA, she taught college courses in writing and literature. where does the citation go for material included in an amplification note? Notes key to the list of works cited. Do I need to reverse the author’s name (surname, first name) in a bibliographic footnote? No. Reversing the first-listed author’s name applies only to the list of works cited, which is arranged alphabetically. Perera to Buxton, 12 June 1916, Ceylon Riots File 1, Anti-Slavery Society Papers, Rhodes House Library, Oxford. 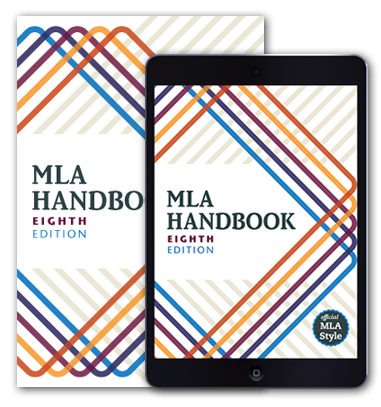 Where can find guidelines for footnotes in the MLA Handbook? I would like to include a bibliographic footnote that to provides additional sources. I would prefer to provide the full bibliographic entry for that source in the footnote. Otherwise, it is hard to find the entries in the long Works Cited list and without the full entry folks have a hard time knowing why they would want to consult these source. If I do this, am I also including that bibliographic entries in the Works Cited list? When citing an interviewee who needs to remain anonymous, MLA says to use an endnote rather than citing the source on the Works Cited page. How would that endnote look? The same as if I were to put it in the Works Cited except at the bottom of the page? Personal interview. 13 March 2019. Good question, Pam! What you have looks good, only we’d use a comma after “interview” in a note. How do you cite an author’s note in a novel? Do you just cite it as a novel?